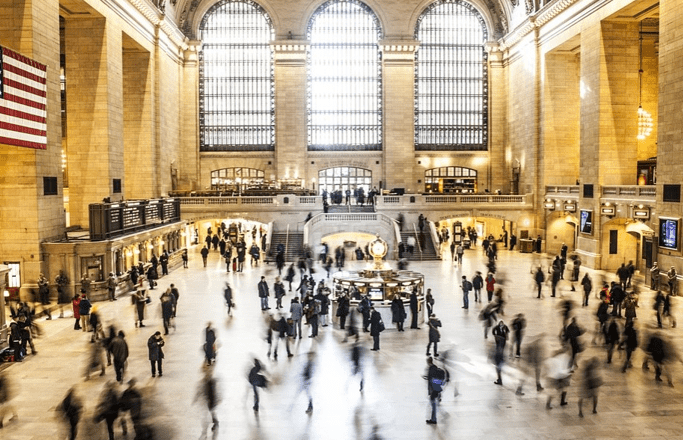 There is no lack of financial advisors or investment firms to choose from in New York City – the city that’s home to Wall Street and a population of 8.6 million. 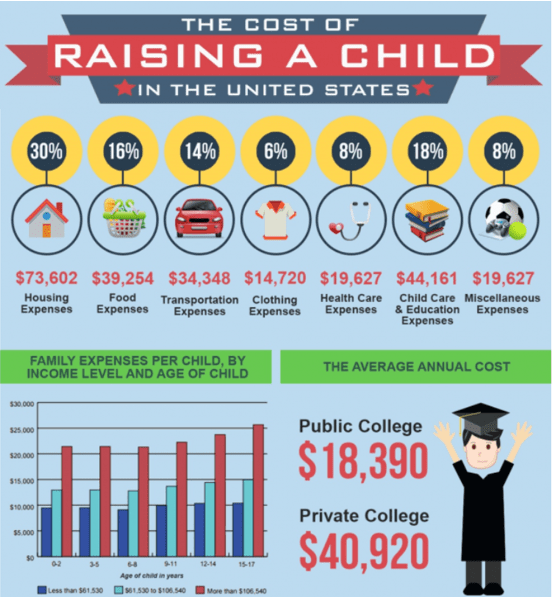 But the myriad of options can make it more difficult to find the best financial planner in New York, NY. Searching through countless websites and wondering which comparison points to use on each New York wealth manager can mean hours of research, which many busy people don’t have time for. There are also financial industry terms that many investors may not fully understand, such as fee-based, fee-only and fiduciary. Which one means you’re getting the best financial advisor in New York City? The financial markets have been as unpredictable as ever at the beginning of 2019, so you need a seasoned professional by your side that can offer you a resilient portfolio that can adjust for the changing tides. Finding a top NYC wealth management firm to trust with your money and financial future is just as important as finding a good doctor. You want someone you can trust, that has your best interests at heart, and takes the time to get to know you. That’s why AdvisoryHQ is here. We use a comprehensive review system in ranking the best New York City financial advisors and we’ve done most of the research work for you. 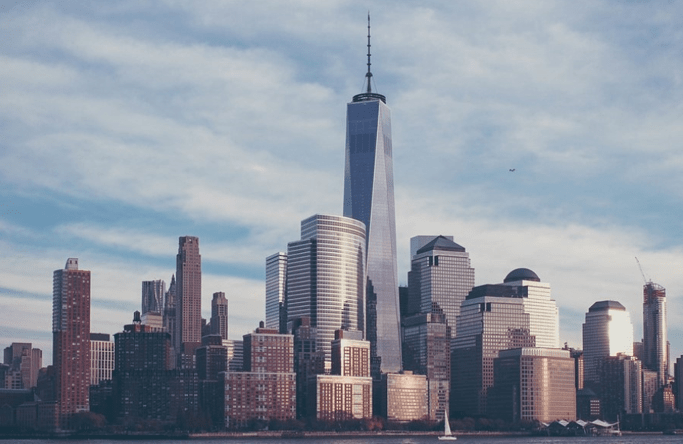 In this review of the top wealth management firms in New York, NY we’ll give you a complete overview of each top-rated firm and also explain those investment industry terms. So, all you’ll need to do is take a look through each firm to find the perfect one for your particular financial needs. How Do You Select the Best NYC Financial Advisor? When you’re first searching websites of New York City financial advisors, you’ll find differences in the style and design and how they present their firms. But there will also be many similarities, such as the types of services they offer. It’s not uncommon to wonder what you should be looking for when trying to pick the best wealth management firm in New York for your particular financial requirements. Read on for a few different decision points you’ll want to consider. Are you halfway to retirement and need a solid plan? About to change jobs or have a pending marriage or divorce? 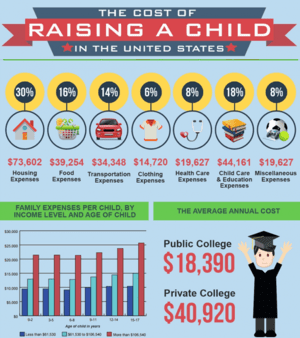 Saving for a child’s education? Knowing and identifying what your financial needs are will help you zero in on those NYC financial planners that specialize in those areas. 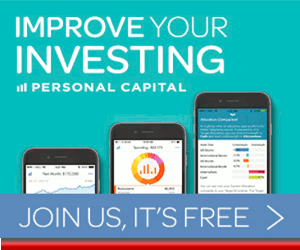 What is the NYC Financial Advisors’ Fee Structure? How they get paid and whether they accept outside commissions is another important consideration when choosing an investment management firm in New York, NY. Do They Offer Additional Financial Services? Some NYC financial advisors just do basic investing and wealth management, while others offer multiple complimentary services. If you like the idea of using the same firm for things like tax preparation or employee benefits plans, you’ll want to look for one that offers those additional services. Below, please find the detailed review of each firm on our list of 2019 best financial advisors in New York, NY. We have highlighted some of the factors that allowed these wealth management firms in New York to score so high in our selection ranking. Altfest Personal Wealth Management was founded by industry trailblazers in 1983 to provide financial planning services in NYC that are truly objective and provide a personal touch. This fee-only New York wealth management firm has garnered several awards over the years for their financial planning work. These include being named in 2017 and 2018 as America’s Top Next-Generation Wealth Advisors by Forbes. The firm works with a wide variety of clients, including women, executives, healthcare professionals, and many others. 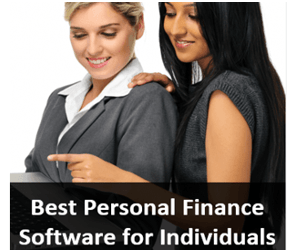 They pride themselves on having the experience to understand the unique needs of many types of financial situations. This top-rated NYC financial advisory firm has a talented team of over 30 financial professionals, including financial advisors, planners, managers, and directors. The diversity of backgrounds in other fields, like science, psychology, and architecture, give this New York wealth management firm a unique knowledge-base and insight. Altfest works with clients in multiple stages of life, professions, and financial situations. Their varied experience allows them to personalize their financial planning and investment approach accordingly. This customized approach takes into consideration each client’s lifestyle requirements and future needs and ensures a plan that is truly unique to their preferences and goals. As a firm that started out with a mission to provide completely objective advice to clients, this wealth management firm in New York City has been a pioneer in the world of fee-only financial planning. The wide range of professional specialties these NYC financial advisors hold make them a perfect match for multiple individuals, no matter what their special financial needs are. They also work with multiple wealth levels and put clients at ease with their personal style. With a value-oriented and customized take on financial planning, Altfest Personal Wealth Management has earned a 5-star rating and is one of the best financial advisors in NYC to consider partnering with in 2019. Francis Financial was founded in 2002 with a mission to help their clients feel well taken care of in every facet of their financial life. This financial advisor in New York, NY maintains a boutique feel and serves families and individuals with over $1 million in investable assets. This independent, fee-only NYC financial planner has an award-winning team that takes a simple and elegant approach to wealth management and specializes in life transitions (such as divorce). Whether you’re going through the loss of a loved one, a divorce, or career change, Francis Financial understands the difficulty of life-altering events. They’re uniquely attentive to clients and give them financial peace of mind even in the midst of emotional turbulence. Loss of Loved One—With a mission to relieve stress and encourage healing, these NYC financial advisors can assist clients with estate planning, tax planning, investments, and more. Divorce—This top-rated New York financial advisor helps clients with valuable information on financial issues related to divorce, including taxes, retirement plans, health coverage and more. Inheritance—Francis Financial helps clients make the most impact with inherited assets through thoughtful, expert guidance to help ease that overwhelming feeling that can accompany the arrival of a large sum of money. Retirement—As a top NYC financial planner, Francis Financial works to ensure their clients can retire confidently and on their own terms through expert wealth management. Career Change—Although changing careers can be rewarding, it also involves important financial decisions, and Francis Financial helps ease the transition by providing expert financial advice. In keeping with their philosophy of simple and elegant, Francis Financial has a comprehensive process they call their 4-step Plan, Grow, Protect® Approach. This plan incorporates the principals of learning about their clients, listening to their needs, and doing the research to find them the best financial options to grow their wealth. This top-rated wealth management firm in New York is a stand out with a team lead by powerful, motivated, and experienced women. They offer an oasis of solid financial guidance for many clients in the midst of stressful life transitions. The firm maintains a boutique feel with a personalized approach that differentiates them from many other New York financial advisory firms. Francis Financial is also a leader in their industry known for their passion and dedication. With outstanding financial expertise and services delivered with respect and elegant touch, Francis Financial scores a 5-star rating as one of the top financial advisors in NYC to consider partnering with in 2019. With a focus on safeguarding, growing, and preserving their clients’ wealth, Frisch Financial Group is a top fee-only New York City wealth management and financial planning firm. They additionally take on a fiduciary commitment to always put their client’s interests ahead of their own. This financial planning firm in NYC has offices in Long Island, New York City, Westchester, NY and Tampa, FL. They take a co-management approach that involves their clients and leads to fully customized portfolios that reflect their financial priorities. This NYC financial advisory firm understands that smart financial planning is a process that evolves over time. You’re not just getting a leather-bound portfolio to put on a shelf when you work with Frisch, they understand that financial management is an active part of your life. Their financial planning process is time-considerate because your time is valuable. Frisch Financial Group advisors evaluate your goals, needs, tax situation, and risk profile and prioritize the more pressing items for immediate action. With over 25 years of experience, this wealth management firm in New York, NY customizes your portfolio completely to ensure you have a strategy that works for your risk tolerance, lifestyle, and future dreams. Frisch Financial Group doesn’t try to be all things to all people, like other wealth management firms in New York might. The firm stays laser-focused on a distinct type of clientele and specializes in meeting their specific financial needs. Senior executives tend to have very complex financial situations. 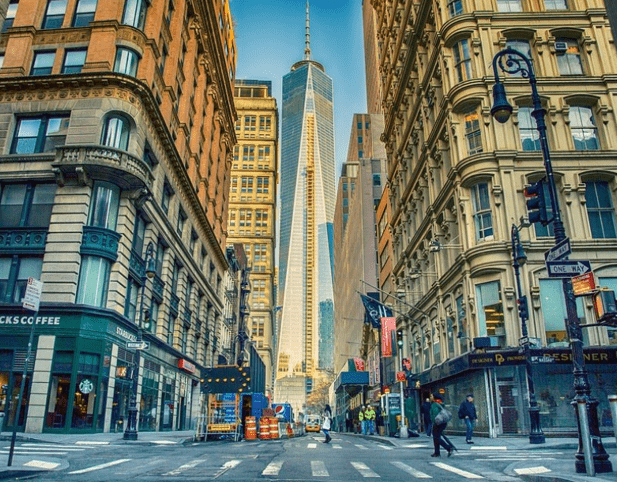 The New York financial advisors at Frisch Financial Group identify the most strategic methods of accessing assets and benefits to increase tax efficiency while minimizing risk and maximizing wealth. Family-owned businesses are unique and often have personal and business wealth combined. This type of situation can become increasingly complex over time. Frisch Financial Group fosters long-term relationships, often working with more than one generation of a family. They help clients who are looking to growth generational wealth by taking a wide view of their financial landscape from the top of the family tree and not just their own branch. Because Frisch Financial Group is both a fee-only financial advisor in New York City and takes on a fiduciary commitment, they provide clients with a base of trust that financial advice is always objective and always in the client’s best interests. With experienced financial planning and investment management services, a focus on client education, and a targeted focus on an exclusive group of clients with distinct needs, Frisch Financial Group is one of the best financial advisors in New York, NY and scores a 5-star rating. Since 1993, Joel Isaacson & Co. has been providing innovative and objective financial planning advice with a collaborative approach. This fee-only financial advisor in New York City stands out for their sophisticated planning and investment philosophy that integrates tax strategy. This NYC wealth management firm serves high-net-worth individuals and families, business executives, owners, and entrepreneurs. They are also highly regarded in the industry, receiving recognition from Forbes, Worth magazine, and Medical Economics. 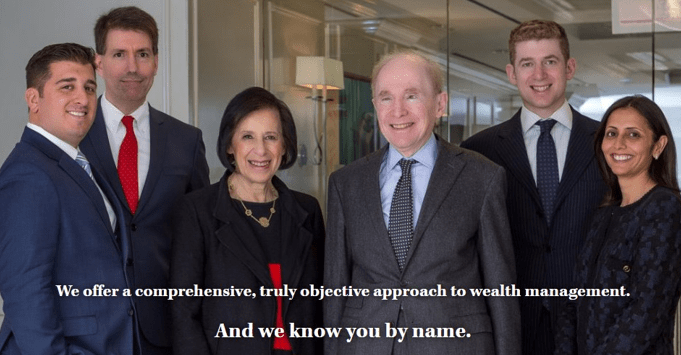 With an independent and transparent structure, Joel Isaacson & Co. is one of the best NYC financial advisory firms to consider if you want to start a relationship on a foundation of trust. As a fee-only wealth management firm in New York, NY, they always put their client’s needs first. Joel Isaacson & Co. believe that good financial management is not about selling products, but rather helping clients achieve their dreams with a well-strategized financial plan. Being an independent, fee-only firm means that Joel Isaacson & Co. is not part of any large institutional firms and does not accept commissions, allowing them to be completely objective in providing clients with the best possible advice to help them reach their personal and business goals. One key area that helps Joel Isaacson & Co. stand out is their highly integrated tax strategies. By incorporating tax planning into a client’s overall financial plan, they can identify opportunities for financial growth. The goal of these NYC financial advisors is not just to merely handle your tax liabilities effectively, but to free you from overpayments and fees that can add up quickly. Taxes can be a large part of any financial liability, making this NYC financial advisor a sought-after expert for their wealth management approach that includes tax planning to maximize potential gains. Clients can also count on these fee-only wealth managers in New York, NY to provide completely unbiased financial advice that is personalized to each client and their distinct financial needs, increasing trust between client and advisor. With a collaborative approach and over two decades of experience successfully serving the sophisticated financial needs of high-net-worth clients, Joel Isaacson & Co. earns a 5-star rating as one of the best wealth management firms in NYC to consider partnering with in 2019. KLS Professional Advisors Group was founded in 1989 on the premise that financial advice should be given objectively and free from any conflicts of interest. This fee-only NYC financial planning firm is committed to continually adding value year after year. This wealth management firm has an office in New York City and an additional office in Los Angeles. The firm takes a detail-oriented approach to ensure each client’s portfolio addresses their specific financial needs and continues to evolve throughout life’s changes. Because KLS is a fee-only NYC financial advisor, clients receive the benefit of completely conflict-free advice, as the firm does not receive compensation of any kind from their recommendations. Not all NYC financial advisors follow this model, and it was one that KLS was founded on in order to serve the client first and built loyalty and trust throughout a lifetime. KLS exemplifies a fee-only approach to wealth management that doesn’t believe in accepting commissions for selling financial products, but rather in an open-architecture structure that puts the client’s needs above all else. A highlight for potential clients is their Financial Decision Making service, which offers expert input from these NYC financial advisors on a number of life events, encouraging communication and relationship-building. The team of financial advisors at this New York firm also carry exceptional expertise in key financial areas, acting as a singular resource for their clients and helping to solidify a 5-star rating for KLS Professional Advisor Group. Working to make a positive impact on their client’s lives, MainStreet Financial Planning provides wealth management services in New York and nationwide. Beyond NYC, they have a presence in Washington D.C., Odenton, MD, and Santa Barbara and Burlingame, CA. Mainstreet is a fee-only financial advisory firm in New York City that is also a fiduciary. MainStreet welcomes clients at all income levels and offers fixed or hourly rates, making their financial planning services accessible for a wide range of people. MainStreet Financial Planning makes it easy for just about anyone to enjoy the advantage of expert financial guidance. Their transparent fee structure is designed to allow individuals and businesses to get just the support they need. This wealth management firm in New York lays out their initial services packages in four simple correlations to where you are in life. After your initial financial strategy is implemented and you’re ready to take the next step to secure your financial future, MainStreet has three different levels of continuing services. Each one offers varying degrees of interaction and support. For those individuals and businesses that are looking for a change of pace and a completely different type of NYC financial planning, MainStreet is an excellent option. They make wealth management easy and affordable for many that are left behind by other financial advisory firms in New York. Additionally, they focus on creating dynamic relationships with each client and crafting a financial strategy that will help them reach their future goals. With a unique hourly pricing plan, a focus on financial literacy, and a client-first philosophy, MainStreet scores a 5-star rating as one of the best financial advisors in NYC to consider working with in 2019. Sontag Advisory was founded in 1995 and serves clients in over 30 states. This New York City Financial Advisor is a fee-based fiduciary that strives to provide clients with unbiased advice. 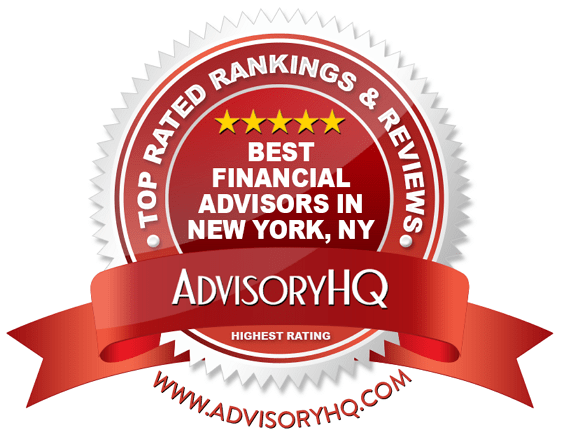 Although AdvisoryHQ does not usually rank fee-based firms, we have included Sontag Advisory as a top financial advisor in NYC due to their strong fiduciary commitment to always act in the best interest of their clients, their open-architecture, and range of services offered. Additionally, the firm does not sell insurance products or accept referral fees, which are conflicts of interest generally associated with fee-based firms. They also provide transparency about any compensation they receive. In addition to their New York, NY office, this wealth management firm also has offices in California, Connecticut, and Florida. Sontag’s client-centric advantages offer you more insight into the entire financial planning process than you’ll find at other NYC financial advisory firms. This NYC financial planner offers a two-tiered model to give increased value and affordability. These two wealth management options allow them to serve clients across a large range of asset levels. Their Core service model typically serves clients with a minimum investment size of $100,000. The Comprehensive service model typically requires $1 million in investable assets, although they do occasionally make exceptions. While the Comprehensive model is described as a standard full-service, personalized investment management program, the Core model is for those investors looking for a technology-based, self-service approach. This allows clients the flexibility to choose between the two levels of services while enjoying all the benefits of working with the expert advisors at Sontag. 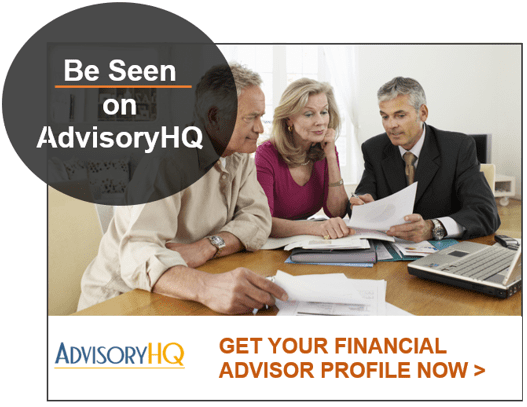 This top-rated financial advisory firm in NYC has a lot to offer clients with their wide array of financial services. Their large team gives them the ability to provide truly personalized and client-focused wealth management services in a collaborative atmosphere. With no meeting or call limitations and a flexible financial planning model to fit multiple asset levels, Sontag Advisory solidifies their 5-star rating at one of the top financial advisors in New York to consider partnering with this year. Describing themselves as the “Rebels of Wall Street,” Stash Wealth offers a refreshing, unique, and unapologetic take on New York City financial planning. They’re focused on serving young professionals and helping them make smart and savvy financial decisions. Stash Wealth was founded in 2013 with a mission of serving the “H.E.N.R.Y.s™, aka high earners, not rich yet. 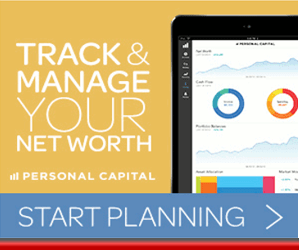 The firm notes that they offer a fee-only financial planning service called Stash Plan®. Their ADV states that the firm receives compensation for referring clients to third-party business professionals, however, they only do so when pertinent to the client. A friendly acronym coined by the NYC financial advisors at Stash Wealth is the High Earners, Not Rich Yet, or H.E.N.R.Y.s™. This unique niche of professional, not always served by other wealth management firms in New York, are defined as individuals making approximately $100,000, or couples collectively making $180,000. Stash Wealth’s mission is to make financial planning more attainable for younger earners, allowing them to enjoy their lifestyle while also saving for their future, past their 20 and 30-something years. In keeping with their target segment of Millennials and Generation Z, this top financial advisor in NYC makes their investment management options straight-forward and accessible. They offer two levels of their Stash Plan® to put clients on the right financial path. Each one comes with a flat-rate, one-time fee. 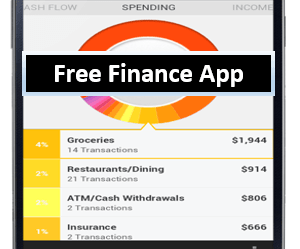 Optimize credit cards, student loans, 401(k), stock options, emergency funds, etc. For young, professional earners that want to work with an NYC financial advisor that has an energetic, in your face, and light-hearted approach, Stash Wealth is a perfect fit. This New York wealth management firm has a completely different approach, infused with personality and humor, demonstrating an ability to transform a traditionally “button-up” process into an energetic experience. With a niche focus on the H.E.N.R.Y.s™ out there and a young, yet talented team, Stash Wealth has definitely made their mark on the New York wealth management scene and scores a 5-star rating as one of the top-rated financial advisors in NYC. Grandfield & Dodd was founded to help clients protect and grow their wealth. This New York financial planning firm focuses on an approach that includes both domestic and international business to increase portfolio value. Although they do not explicitly state they are fee-only, the firm’s ADV notes that their management fees don’t include any fees or commissions charged by third parties in connection with their advisory services. We always recommend potential clients confirm specifically with their NY financial advisor which particular fee structure they use. 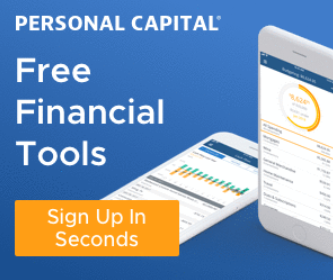 This NYC financial advisory firm is completely independent allowing them to give their clients the best, unbiased advice to meet their financial goals. They are not affiliated with any banks, brokers, dealers, or other financial institutions. This independent status allows Grandfield & Dodd to serve their clients, who typically have a minimum of $1 million in investible assets, completely free of any conflicts of interest. The experienced NYC financial advisory team at Grandfield & Dodd understand that valuation is a vital component to any financial strategy. They also recognize that different types of businesses will have different valuation criteria. Avoiding risk and unnecessary concentration is also something this investment manager in New York works to integrate into their clients’ financial management plans and they do this through proper diversification. Their mature understanding of various markets both nationally and internationally ensure their clients get a carefully curated selection of the most stable financial products in their portfolios. With more than a century of collective investment management experience, Grandfield & Dodd stands out as a solid option for individuals and businesses with at least $1 million to invest. Its protect and grow philosophy is backed up by their extensive understanding of the global markets and thorough research. We ranked Grandfield & Dodd with 3-stars due to two factors, including that the firm is not completely clear about having a fee-only fee structure and that their website is lacking easy to read, comprehensive details on the specific services they offer. However, with those two items addressed, this NYC wealth management firm could definitely score higher in the future. They are a solid and trusted financial advisor in New York, NY to consider working with in 2019. Founded in 1993, HFH Planning was founded by Hank Hanau on the premise that clients should receive conflict-free advice from wealth managers that weren’t suggesting financial products based upon any commissions they may receive. 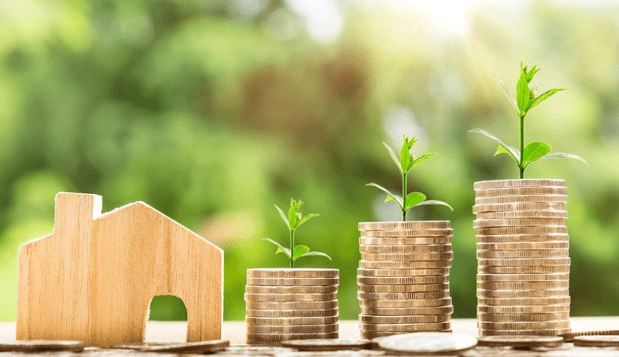 HFH Planning is strictly a fee-only financial advisor in NYC that puts forth an effort to make their financial advisory services accessible to a wide range of clients by offering hourly planning service rates for limited scope engagements. It can be frustrating to work with a New York financial planner that uses a non-customized template for your financial plan. This top-rated wealth management firm in NYC takes a more personalized approach. This New York investment management firm comprehensively outlines this process, allowing clients to consider alternatives and be involved in future reviews so their plan can be adjusted according to their life changes. Financial management firms that offer additional services beyond just investing save clients both time and money. This also ensures an integrated wealth management plan that takes things like taxation into consideration. As one of the top financial advisors in New York, HFH Planning has a lot to offer their clients, including their long-time commitment to serving the client completely free of any conflicts of interest. Although they do have a robust array of financial offerings, several of the services are not fully described, which could make it harder for potential clients to do a complete evaluation. Additionally, the firm’s website would benefit from an update. We’ve scored this top New York City financial advisor with a 3-star rating. We feel that by adding more descriptive information about their services, HFH Planning could better communicate their value to potential clients and easily score higher in a future ranking. Just like New York City itself, the top-rated New York financial advisors are a diverse group. From firms that serve high-net-worth clientele to those focusing on young professionals trying to forge their path, there’s a financial planner for everyone. Once you’ve narrowed down your favorite NYC wealth management firms, it’s a good idea to make a list of your assets, liabilities, and financial goals to take along with you to facilitate your initial discussions. Finding the best financial guidance to secure a strong financial future is an important decision, so take your time to find the firm that fits your personal style and financial plans perfectly.